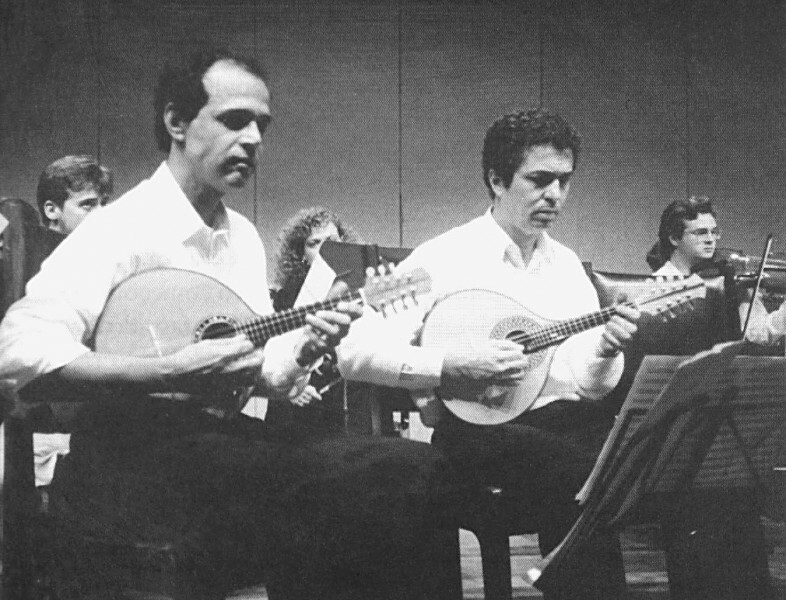 Choro is a musical style from Brazil in which typically a mandolin, clarinet or another lead instrument is backed up by plucked instruments like the guitar and cavaquinho (a small four-stringed guitar), and by percussion instruments such as the pandeiro (similar to a tambourine). The music is mostly virtuoso and rythmically complex. A master of the genre was the mandolinist Jacob Bittencourt, known as Jacob do Bandolim. His recordings are still listened to today and contemporary groups learn from them.